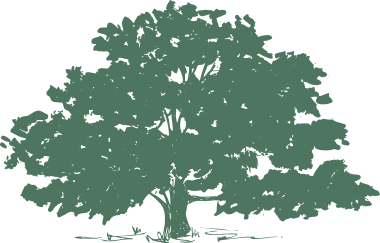 Rickert can help you make the perfect tree maintenance plan for your property. 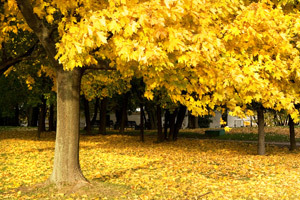 Below are several ways to take care of your trees during all of the seasons of the year in Oklahoma. Cover fragile plants/shrubs to protect from ice and below freezing temperatures. PLANTING: The best time to plant trees is late winter and early Spring, however, planting also can be done in the Fall after the hottest weather of summer is over and after the trees drop their leaves and enter dormancy. Prune shrubs and trees that are dormant. Check our tree care tips. Watch for area shrub, flower and tree sales at Tulsa Garden Center, Tulsa Master Gardeners and more. PLANTING: Shrubs, bedding plants, roses, canna lilies and other hardy flowers. 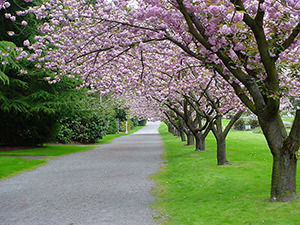 Trees can be planted in early Spring, before the days become really warm. Check our tree care tips for planting. Make sure your trees are ready for high winds and storms. Check out this interview by KRMG News Talk Radio with ISA-certified arborist Todd Rickert about tree damage in the July 2013 storm. PLANTING: Early summer, plant annuals (flowers). During drought conditions, water plants and trees sufficiently; water slowly and deep. During extreme heat and long, hot days, protect fragile plants and young trees from the laser-like sun with “plant blankets” or similar light coverings. Do not prune trees during summer when they are already stressed by the high heat. Re-work the soil around small, young trees. Mulch trees in a donut-hole pattern, leaving room for watering and air around the base of the tree. 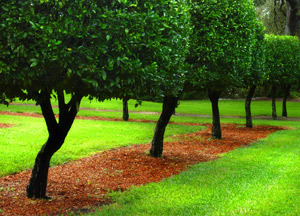 Mulch should be about two inches deep and the coverage at least one foot wide around the tree. Prune trees when they go dormant, after their leaves have fallen. PLANTING: Now and in late winter and early spring, plant new deciduous trees, mulching as described above. See our tree care tips. Do not plant deciduous trees while the weather is still hot. You can plant evergreen trees earlier in the Fall than you can the deciduous trees; and later in the Spring. Protect small trees and shrubs before and during extreme weather with “frost blankets” (available at your local hardware store). 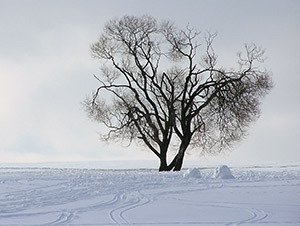 ADVANCE PREPARATION: Loosen the soil in areas where you intend to plant trees during the Winter when the earth is frozen. High, intense heat threatens the life of trees, especially young ones. Insufficient watering is another serious enemy to trees, especially young ones. 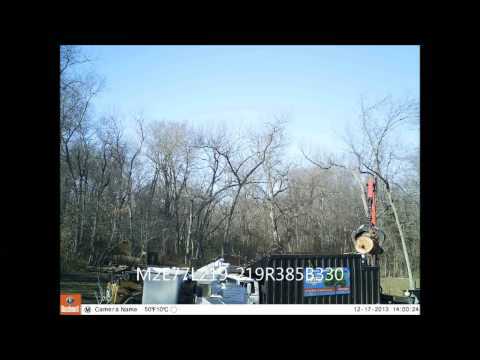 analysis of your tree conditions and to assist with planning.